Sri Lanka’s apparel industry earned US$ 5.32 billion from exports in 2018, becoming the first industry in the island to cross the US$ 5 billion mark. 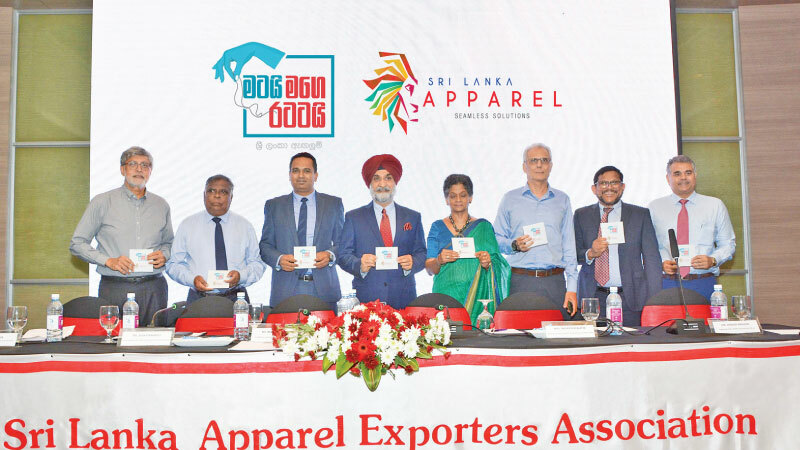 The industry representatives are now focusing on growth and its goal of achieving USD 8 billion in export revenue by 2015, Out-going Chairman of the Sri Lanka Apparel Exporters Association (SLAEA), Felix A. Fernando told the 36th Annual General Meeting on Tuesday in Colombo. Founded in 1982, SLAEA is the pioneer Association of the apparel export industry in Sri Lanka. The association continued to grow with representation of all key players in the industry participating as members of SLAEA’s executive council. After having merged with the National Apparel Exporters Association (NAEA), their current membership represents almost 85% of the total export earnings from the apparel industry. Fernando said there is a visible development of the rural areas in Sri Lanka which has helped uplift the lives of the rural public in particular. With the incentives offered by the government, many new factories have now also been opened in the North and East, and are functioning successfully providing valuable opportunities to the youth in these conflict affected areas. During the AGM, Chairman of Original Apparels (Pvt) Ltd Rehan Lakhani was elected as the Chairman; COO of MAS Holdings (Pvt) Ltd and Director of MAS Capital (Pvt) Ltd, Shirendra Lawrence was elected as the Deputy Chairman; and COO of Crystal Martyn Ceylon (Pvt) Ltd, Colin Vose was appointed as the Treasurer. In order to achieve the 2025 target an annual average compound growth of about 6% is required. This is higher than the actual rate that was achieved in 2018. As the traditional market is more or less static, the group mentioned that the Sri Lankan apparel industry needs to penetrate into emerging markets such as India, China and Brazil. As the SLAEA serves on many statutory and non-statutory Boards and committees, Chambers and Associations connected with the apparel industry, their contribution to the formulation and implementation of major strategies and decisions affecting the industry has been significant. The members of the Association were also felicitated for their great contribution to the development of the apparel sector which over the past year which has been ranked as the lead export industry of Sri Lanka. Another highlight of the AGM was the announcement of the launch of a new campaigned titled, Matai Mage Ratatai initiated by SLAEA in partnership with the Joint Apparel Association Forum (JAAF) and the Export Development Board. JAAF is the APEX industry body that has driven transformation in the way apparel manufacturers operate - with responsibility, conscience and care. The objective of this campaign is to eliminate the negative stereotypes associated with the female employees who work in apparel factories. These negative stereotypes have resulted in a sharp decline among the factory workforce across the apparel industry. Being the largest export earner in Sri Lanka bringing in US$ 5 billion, SLAEA together with its partners and support from the entire apparel industry hopes that this campaign will showcase the positive ripple effects to our economy, which would not be possible without this hardworking female workforce. Thus, the objective of the Matai Mage Ratatai campaign is to empower these women to see the value of the employment opportunity offered and also to recognize their immense contribution to our country’s economy.